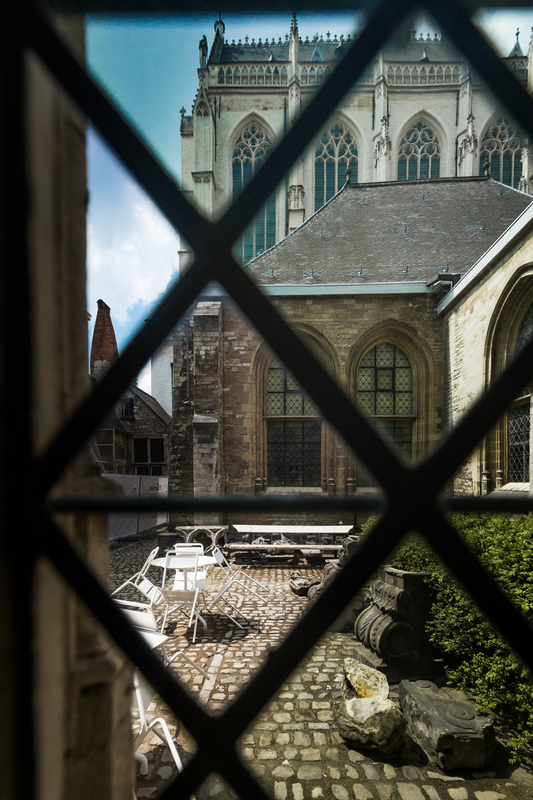 in the ancient city of antwerp, the ‘cathedral of our lady’ stands as the largest gothic church in belgium. 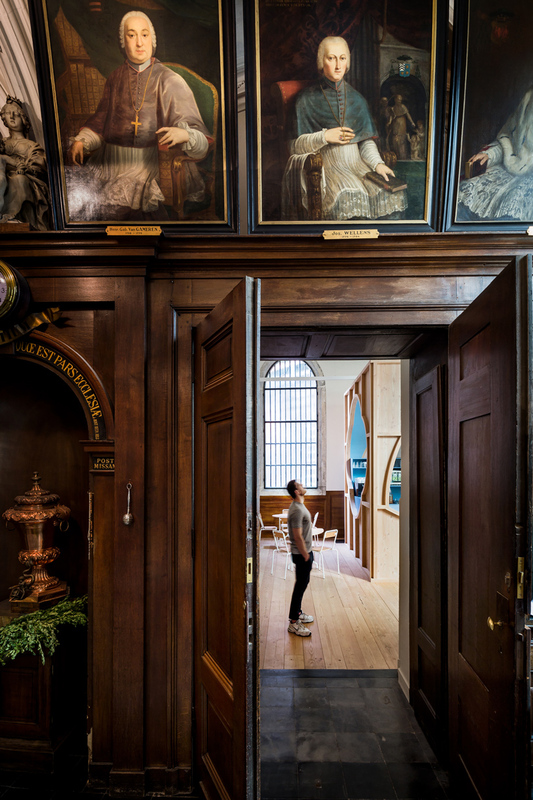 completed in the year 1521 after nearly 170 years of construction, the cathedral houses many precious historical artifacts including four paintings by flemish baroque artist peter paul rubens. the heritage building receives 280,000 visitors each year. 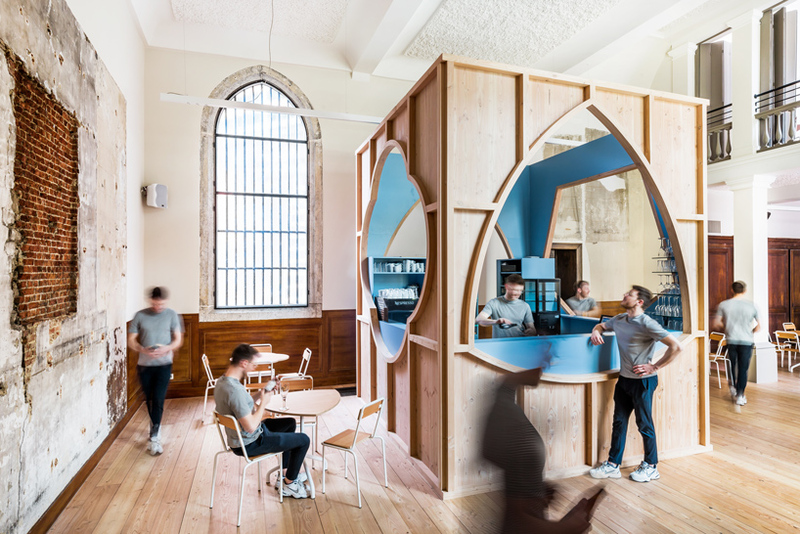 beside the ambulatory within the historic structure can be found the chapel of saint john. 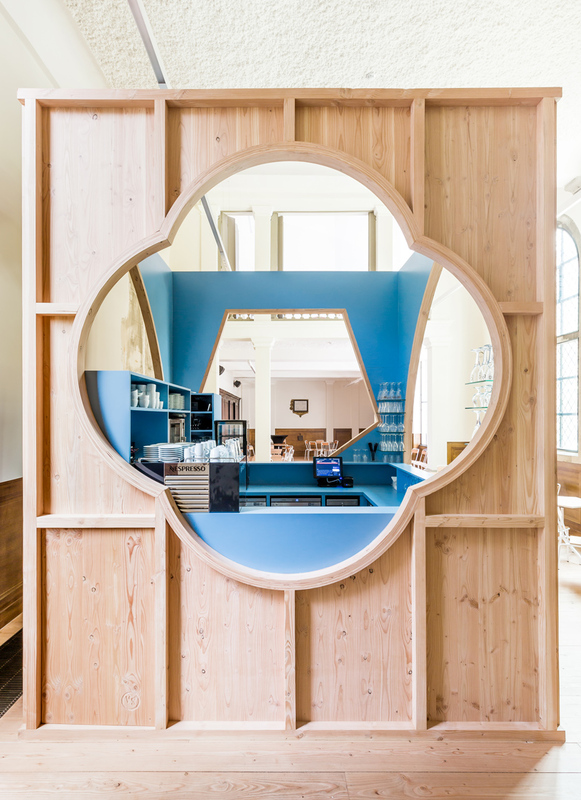 this chapel has now been reimagined by antwerp-based studio van staeyen interior architects as a gathering place for churchgoers and tourists alike. 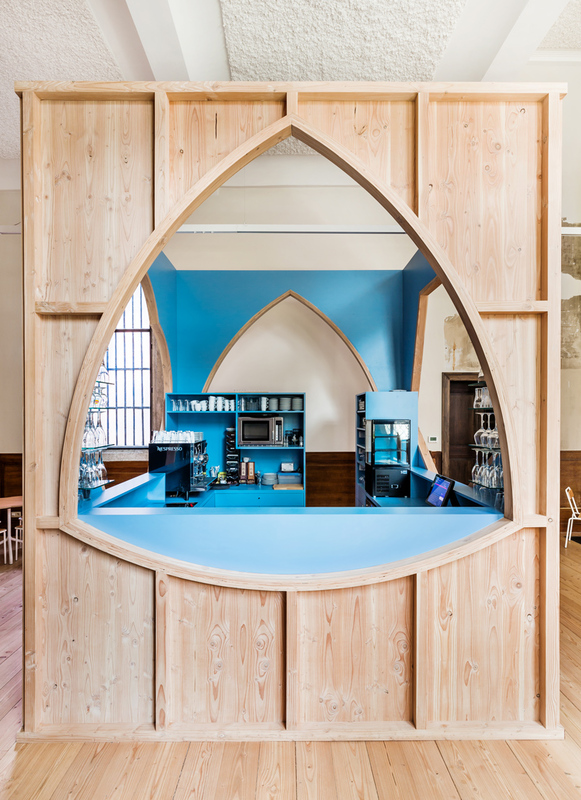 this new greeting and reception space takes the form of a small bar, designed in a ‘contemporary gothic’ style. 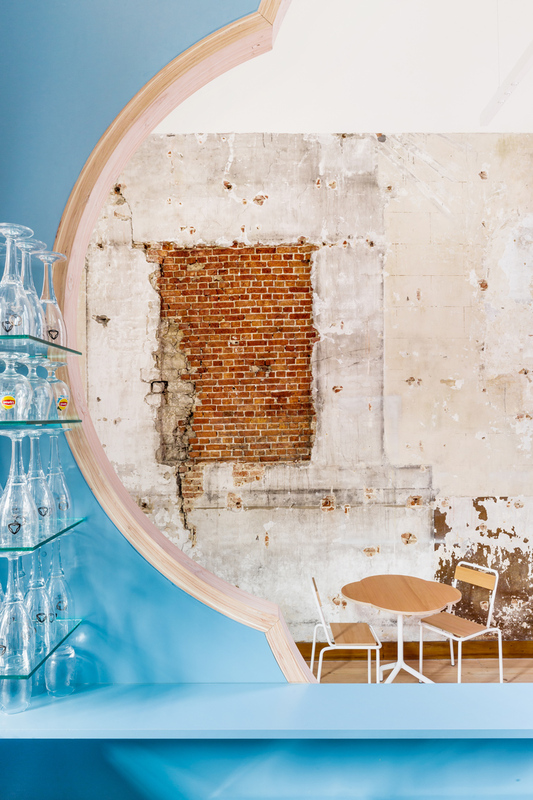 van staeyen interior architects reimagines the gothic style in the design of the bar. 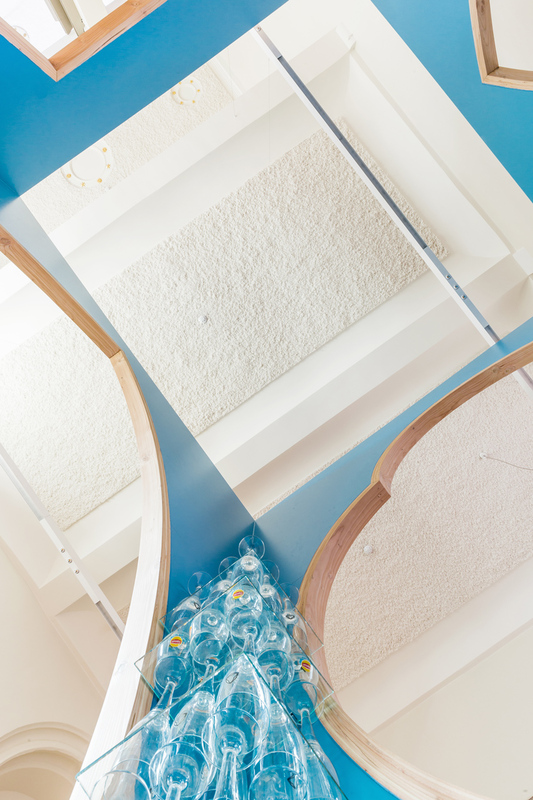 the architectural elements of the cathedral are reflected in a more whimsical and contemporary attitude. 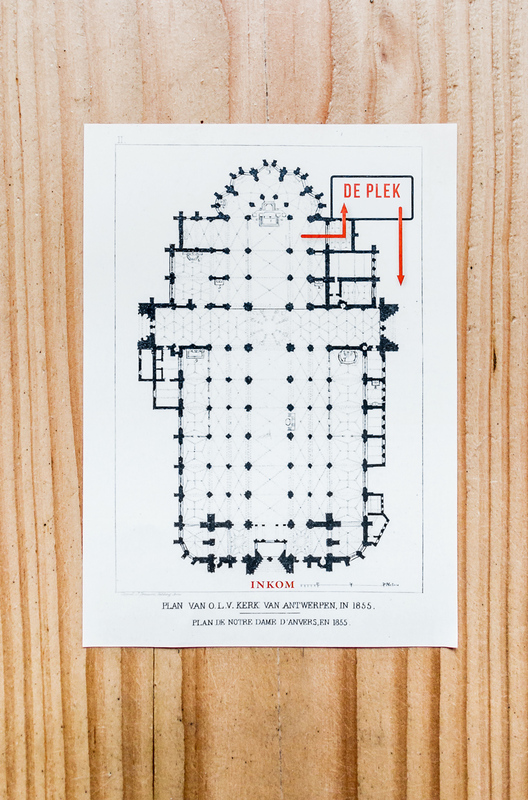 cross ribs, vaulted ceilings, objects of art, the buttresses and arches are translated in the carpentry structure. 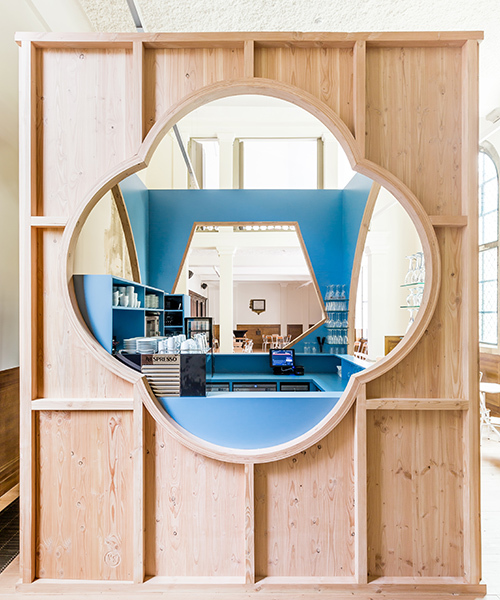 while the raw wood is expressed on the outer surface, the interior surface of the bar is expressed in a vibrant blue, giving the impression of being turned inside out. 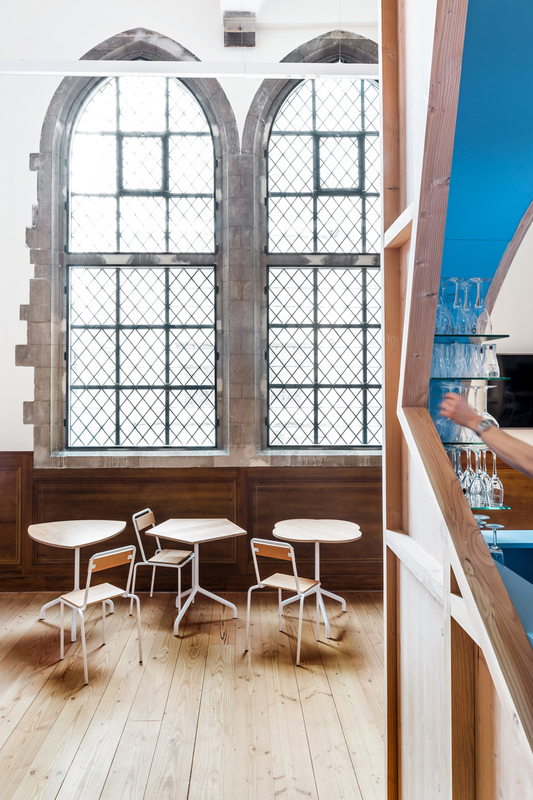 the vibrant blue tones of the stained glass windows lining the nave of the cathedral influenced the blue lining of the chapel bar. 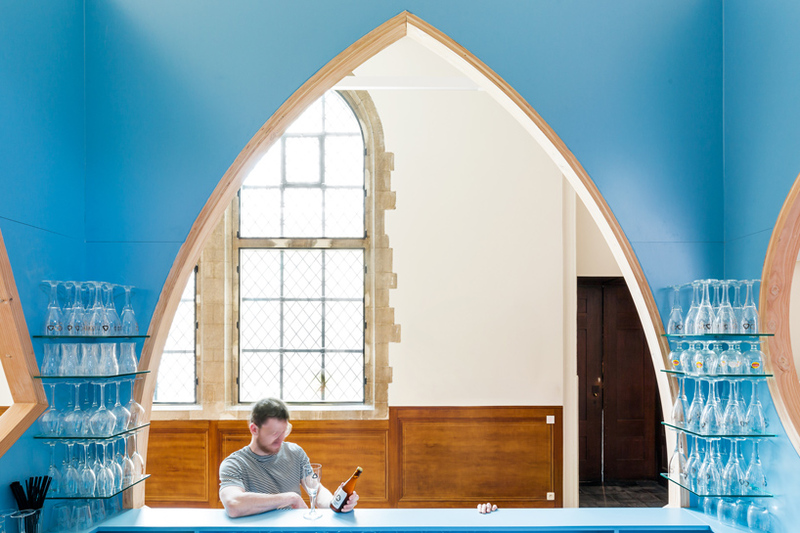 the studio made use of french douglas fir — the material which makes up the original flooring of the chapel. 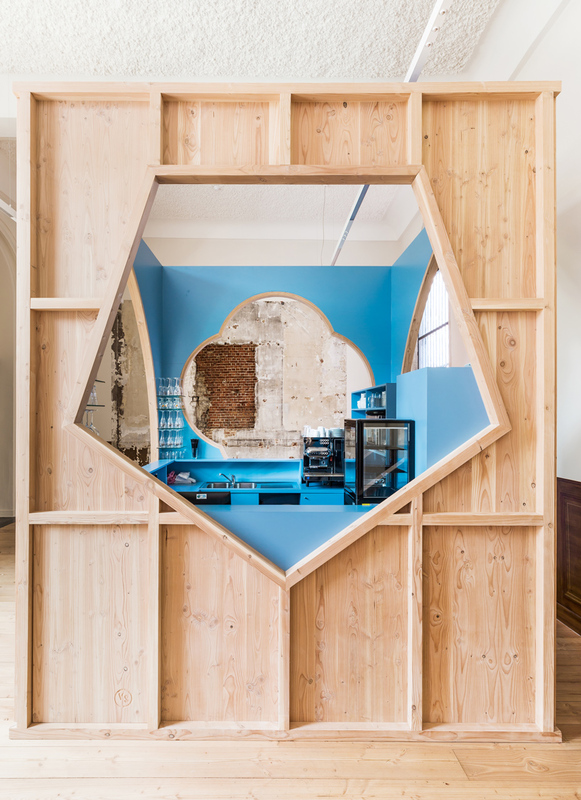 the serving apertures in the bar are a playful translation of the gothic form — the pointed arch, the four-leaf clover, and a pentagon.